I’m such a showtune queen. Alvin, one of our interns at WIM, tagged me in a Facebook teaser of The Rocky Horror Picture Show‘s TV remake (not sure why he tagged me), and I binge-listened to the original movie’s “Touch-a, Touch-a, Touch-a, Touch Me,” my favorite number. This week I kicked off Vibrant Vietnam, an education on the country to prepare me for my trip to Hanoi next month. I watched Tran Anh Hung’s films The Scent of Green Papaya (1993), Cyclo (1995), and The Vertical Ray of the Sun (2000), three films that explore different aspects of the culturally-rich country. Papaya is the sweetest of the three, and follows Mui, a young servant girl who blossoms into a beautiful woman and finds love. It won the Camera d’Or at the Cannes Film Festival in 1993, and was nominated for Best Foreign Film at the same year’s Academy Awards. Cyclo is grittier, and tells the story of a young cyclo driver who descends into the criminal underbelly of Ho Chi Minh City. It won the Golden Lion at the Venice Film Festival in 1995. Lastly, Vertical Ray examines the life of a family in Hanoi whose members go through personal turmoils. Of the three, Papaya is my favorite, followed by Cyclo, then Vertical Ray. Vertical Ray left me wanting and I tried to figure out what it was trying to say. 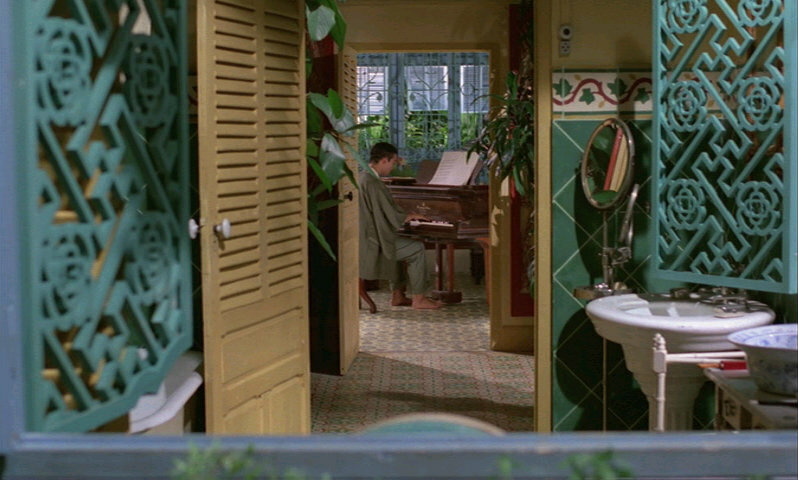 Regardless, all three films were beautifully-shot and the houses had gorgeous interiors. I like how they aren’t afraid to use color, covering their walls with the most brilliant shades of blue, yellow, and green. And their love for greenery is completely inspiring. My favorite thing about Tran’s films is how he relies heavily on non-spoken dialogue. It’s so romantic. I also finished the first season of Hey Arnold! It’s just a way for me to relive my childhood, but I like how the show tackles themes of friendship and family bonds. My favorite episode is the depressing “Pigeon Man,” where Arnold meets the Pigeon Man, who has shunned people in favor of birds. After a bunch of kids ruined his home, he said, “Of course they’ll come back: They’re birds. I trust them. I understand them. It’s people I don’t understand… You see, Arnold, it’s time for me to leave here. Some people are meant to be with people, and others, like me, are just different. I just hope there’s another Arnold where I go next,” before flying off the building with his birds. 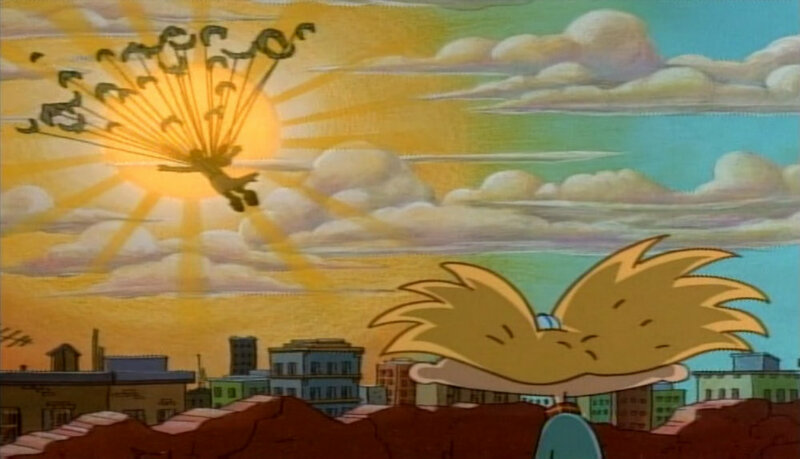 People suspect he committed suicide, but it was confirmed that Pigeon Man will return in the upcoming Hey Arnold! movie. Of what will happen when I finally go full-time for WIM. Also that The One is not in this country. I tried swiping on Tinder again and didn’t meet anyone interesting. 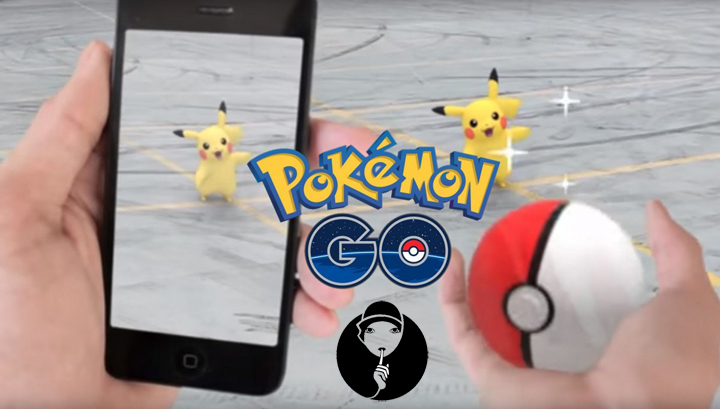 I don’t think The One is even Filipino. I’m too assertive and independent for Filipino guys. Optimism. And literally, Human Nature’s powder love lotion. I am literally obsessed with it. Obsessed! That things will work out well when Alex flies to Manila. For the best for this country. All the opportunities that are coming my way. My cup runneth over. Thank you so much. To start working full-time already. I have so many plans! To sleep. My sleeping patterns have been messed up this weekend because of the rainy weather. I’ve been sleeping for 12 hours straight and catching naps in the afternoon. I love it but I have a hard time sleeping at night. Slightly More Than 100 Exceptional Works of Journalism. Which I will read slowly. First off, Gay Talese’s “Frank Sinatra Has a Cold,” considered as one of the famous pieces of magazine journalism ever written. A New Study About Overly Nice People Has a Rude Awakening. Not surprised. Ah yes, Hey! Arnold…that football head is sorely missed.